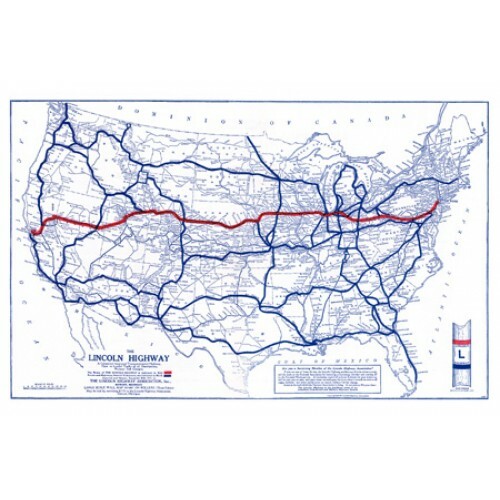 This coated, 2-color, 14" x 21" map shows the route of the Lincoln Highway in red, over a United States map in blue. 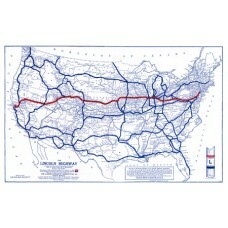 The reverse side lists the 426 towns and cities through which the Lincoln passed in that year. Perfect for framing or classroom use. If ordered "alone", this will be shipped by US Mail.